In the past few years, the genre of games involving vehicle building and then battling them has really taken off. Games like Scrap Mechanic, Robocraft and Space Engineers are only just a few examples, showing how much popularity they can achieve in a short period of time. This is mostly due to the complex and open-ended nature of construction found within these games. You can build whatever you want, just the way you want it. And then follows the adrenaline rush of competing with other players using your very own unique creation. Hence it is not surprising for most of us to lose hundreds upon hundreds of hours being addicted to the genre. 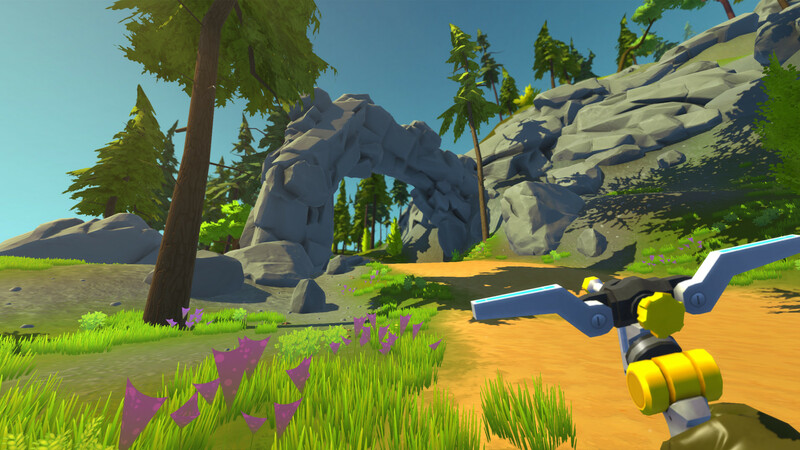 If you liked playing as a robot maintenance mechanic in Scrap Mechanic, we have here a list of 5 other interesting vehicle building games which may (or may not, depending on your taste) keep you occupied for weeks. And do not fear, we hate pay-to-win games just as much as you do! Just like Scrap Mechanic, MachineCraft is an early access game with mostly positive ratings (292 out of 397 reviews) on Steam as of this writing. The objective of the game is to use blocks to build and show off your own machines while appreciating those of your friends. The experimental game-modes allow you to battle and race against other players online. This YouTube video shows some cool creations by other players showcasing the number of possibilities for design and customization you can have on your machines. Developed by Spiderling Games, and in our opinion one of the best contraption building games, Besiege is like a twisted medieval cousin to Kerbal Space Program. The game features immensely fun physics with spectacular explosions all in a fully-destructible environment. Defend yourself against archers, battalions of soldiers and even their cannons as they desperately try to fight your creations using everything in their arsenal. Even though the game is in early access right now, we strongly feel it is easily worth the $7.99 admission price. With so much to build and so many endless possibilities, Besiege will probably be the best $8 you ever spend. SimplePlanes is not just a simple game about simple planes. Although flying for the most part, is the largest portion of the game, SimplePlanes also features land vehicles with fully functioning car engines, wheels, shocks, et cetera. A sandbox mode means customization and possibilities few other games can offer. The fuselage block can be customized to fit any shape and size and if one isn’t enough there is always an option to add more. A perfect match for those who love mindlessly building weird vehicles and great (mostly realistic) physics in games. Keen Software House, the studio behind development Space Engineers, have really outdone themselves with this open-world sandbox game. Whether you are interested in constructing things or destroying them to smithereens, Space Engineers will quench your thirst. Inspired by reality, the game features fun physics and countless ways in which you can build stuff with a huge emphasis on planetary exploration. Choose between a creative mode with unlimited resources or play the survival mode with realistic management of resources and inventory limitations. Destructible environments and objects, competitive and cooperative multiplayer modes and super-huge worlds are just a few of the features we will be mentioning. If all of this still doesn’t pique your interest, check out the new trailer with planets, it might just make you change your mind. Construct your very own war machine and fight to the bitter end with other players. Gear Up is a free to play cross-platform multiplayer game with over a million different design and weapon combinations for your battle tanks. Even though the game is still in early access, it seems highly promising due to mostly positive reviews on Steam as of this writing. If you feel this game has potential check out the trailer and be sure visit the store page on Steam. Previous PostPrevious Ready for something new?